There are plenty of troubles that come in the package of fallen humanity. This is not how our God and Father first intended it to be. Our Heavenly Dad's intent was that Adam and Eve would not have sinned and would have lived forever in the safety and security of the garden of Eden. Living in a place of unconditional love and protection, they wouldn't have even had a frame of reference for the word 'trouble'. And of course, that would have meant that every generation since them would have enjoyed the same benefits. We do not have the time or space to unpack the consequences of their decision back in the garden, but it is important for each one of us to know that God's intent for us has never changed. His heart has always been that we would all live with Him in a place of safety and security (Psalm 91), living in the secret place of the Most High. Troubles do come whether we like it or not. 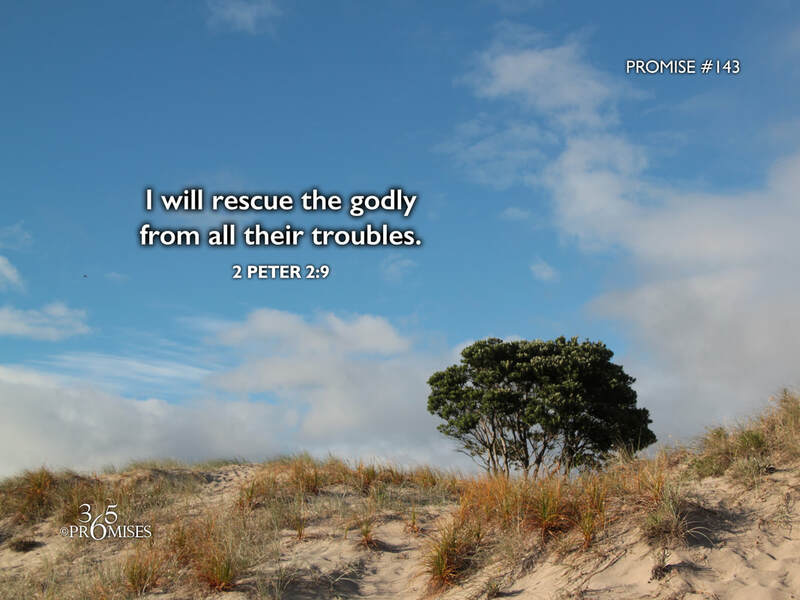 Be comforted in knowing that our Elder Brother and Savior has overcome the world and our Heavenly Father has promised to rescue us from all our troubles. May the reality of this promise go deep into each one of our hearts today.